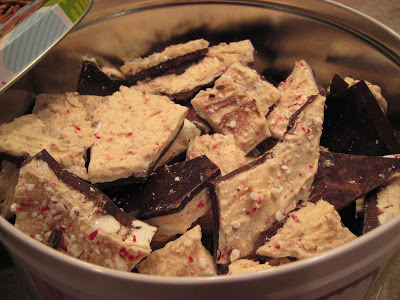 Peppermint Bark is a pretty popular item these days. You can easily purchase it at the grocery store or specialty food shop. But it also is very easy to make. And homemade is always better, isn’t it? We try to make this every Christmas. This year, we made it after Christmas Day due to all of the additional busyness around our home. But we are still in the Christmas season, and it only is the sixth day of Christmas. So, we continue to celebrate! Making the season bright. Wearing pajamas a bit longer each morning; there’s no hurry this week. Lots of playtime with new toys. Christmas books still being read. Christmas carols still playing. 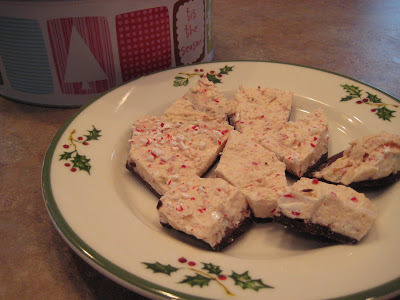 Cookies (and peppermint bark!) for dessert. 1. Line an 11×17-inch baking sheet with foil and set aside. 2. Melt bittersweet chocolate in the top of a double broiler over lightly boiling water, stirring constantly. (I use a glass mixing bowl set into my soup pot.) Stir in 1/4 tsp. of peppermint extract (or more to taste). 3. Spread chocolate evenly onto the prepared sheet, using an off-set spatula. Chill until set, about 1 hour. 4. Melt white chocolate in the top of a double broiler over lightly boiling water, stirring constantly. Stir in remaining 1/4 tsp. of peppermint extract (or more to taste). Then, add candy canes and stir to combine. 5. Spread white chocolate mixture over chilled dark chocolate, spreading to the edge of the pan with an off-set spatula. 6. Chill until set, about four hours or overnight. Refrigerate until just before serving, then break into pieces and serve or package as gifts. Will keep in fridge for 5-6 weeks (or more, but it doesn’t last that long in our house!). *I have found that the chocolate baking bars work much better than chips. And it is rainy and gloomy here today, so I just couldn’t get the right, brighter lighting for these photos. So, I apologize if they seem a bit dark. 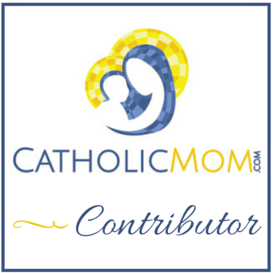 For more cookie recipes at a virtual cookie exchange, visit Catholic Cuisine. We always make our own too — I've never had a recipe though. 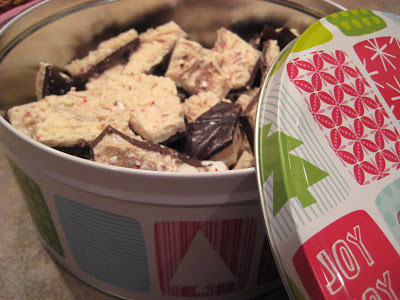 We just buy the chocolate and the vanilla almond bark and mix in candy cane bits. Let it harden and break it into pieces (this part is Joe's favorite job, besides smashing the candy canes — such a boy!). I like your two-tone stuff though — it's pretty. Merry (6th day of) Christmas! Yum. This looks so good. I'm going to make some for my dad, who is a chocolate-mint-aholic. Your peppermint bark is very cute (and your Christmas plate too) but your baby must be much cuter and every time you post I am dying to gaze into the face of your newborn. Mine is now nine months and I am missing the newborn stage. 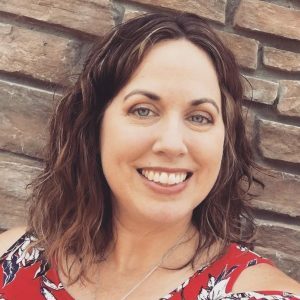 Please indulge me!